The East Residences brought to you by P.A. Metro developers is a medium rise residential property offering condominiums. This property was designed for those persons in the low to middle income bracket. P.A Metro is known for creating affordable housing to this market with top quality designs and building products. The condominiums are set on a property with a gross land area of 3,868 square meters. There is a total of three buildings that go up five stories offering a total of 212 units. The property can be found located at Ortigas Avenue, Extension Brgy. Rosario in the City of Pasig. 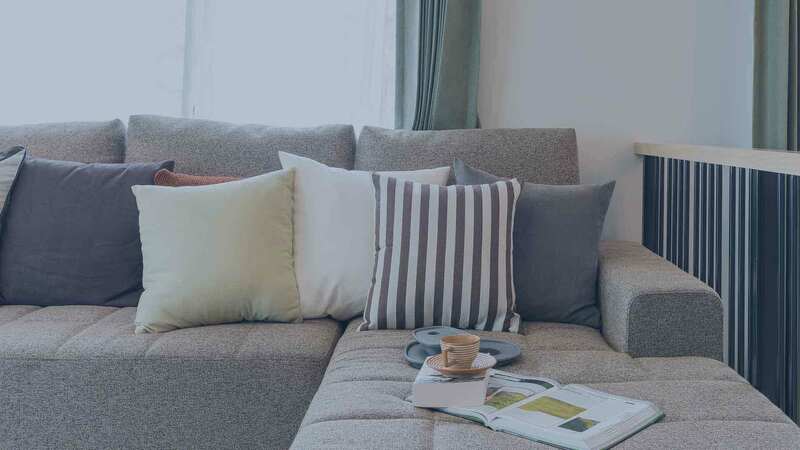 This puts the property just one hundred meters away from the major Ortigas Avenue Station so commute will never be a problem if you choose to make East Residences your new home. From the Ortigas Avenue Station you will find transportation to all major cities and thoroughfares close by. Live an elevated life at the East Residences at Ortigas Avenue. Here you will find modern condos with all the features and amenities necessary for you to enjoy your home life. The condominiums offered here give you a variety of floor plans to meet your living needs. The five story building offers living spaces in sizes of 20 square meters, 22 square meters, 24 square meters, 30 square meters and 32 square meters. Each unit is nicely appointed with ceramic tiled floors, aluminum sliding windows, steel and PVC doors and all unit are cable and telephone ready. The residence is complete with 42 parking spots that are available to residents. Residents will be happy to know that they will be certain of an uninterrupted supply of water thanks to the elevated water tank that provides water for the subdivision. The property is maintained with 24 hour security coverage so you are always assured that you, your family and your property are all safe. The units here at East Residences are spread across five buildings. The Five Buildings are the Ivor tower, the Topaz tower, The Jade tower and the Amethyst Tower. The units feature simple designs but offer all the basic necessities you need to have a comfortable and modern home life. All units in all towers here at East Residences come equipped with a laundry area, recessed balconies, steel and PVC doors, ceramic tiles, modular kitchens featuring stainless steel sink. Units include automatic fire sprinkler and provision for the installation of a window style AC unit. There are 6 different sizes of units found here at East Residences ranging from 20 to 32 square meters in size. This allows for different floor plans for different family sizes and housing needs. P.A Metro Properties are the developers responsible for bringing this great housing option to the market. The development company now known as P.A. Metro can be traced back to a beginning in 1993 in the month of September when they were established under the name; P.A. Alvarez Realty. The first residential subdivision they developed as P.A. Alvarez Realty was in San Pedro, Laguna. Their initial property was a huge success, as it featured 200 units which were completely should out in under four months. In August of 1994 they registered the business as P.A Alvarez Properties and Development Corporation with the Securities and Exchange Commission. They went on to develop the St. Joseph Village which catered to low to middle income persons. They went ahead and completed 12,000 homes by 2011 and they haven’t stopped there. Since then, the housing portfolio of P.A Metro has continued to grow and as they continue to provide affordable housing solutions to the market they continue being sold out quickly. This proves that they only offer high quality properties and that they have only grown over the years and will only continue to get better as the years go by. Every day at the East Residences can be a great one for both adult and children residents alike. You will love the amenities and features of the community which can be a great way to bring families and neighbors together. You can enjoy a weekend relaxing by the pool or you can opt to spend time outside with your kids in the play area which is also safe since it has a perimeter fence. The property is located in Rosario within close driving distance to Eastwood and Ortigas CBD and accessible via the Ortigas Avenue extension making commute easy no matter where you are going or where you are coming from. P. A. Residences East Residences in Pasig City, Philippines is a premier Condo project available for sale. If you're looking to rent or purchase East Residences, then check here first. We have full details of East Residences updated regularly as well as everything you need to know about the availing and booking process, broken down into stages that includes selecting a unit, choosing a payment plan and buying your dream home at the right price. For price list, free site tripping or showroom visit, personalized service, model house, unit plans, floor plans, payment terms, CHAT LIVE with an agent 24x7. We are Remax Perfect Homes. Always only buy from PRC licensed Real Estate Brokers and Agents.